When I make art, I make a statement. I dig into raw, untamed potential emotional power festering in my soul and pour it on canvas with my whole body and mind. When you fill your personal environment with art, you make a statement. This is how I do art. I take what art does to me and I reimagine it on my own canvas. The art you choose to surround yourself with connects with your inner power. It displays your unique imaginative mind and it rejuvenates your energy every day. That’s the kind of art I create for you. I work with various media and I explore new ways of stimulating imagination with abstraction. 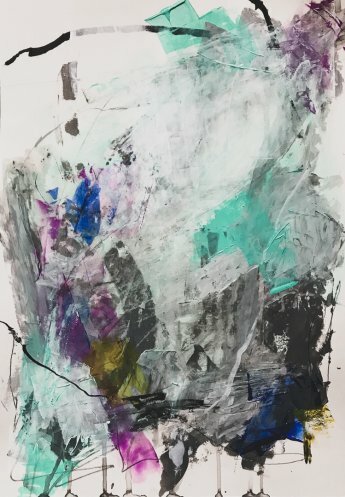 I’m fascinated with how texture and color impact a deeper connection between spectators and the artwork. The act of creation is a dynamic experience of bending the limitations of our intelligence and reaching to the natural force of feeling, that resonates within every one of us. Amazing paintings from a very talented artist! I highly recommend Wiktoria’s Artwork for those who like a combination of energetic colors and high quality paintings! When I recieved Wiktoria’s painting it instantly injected life and energy in me! Will be framing it up in my room to look at it every morning! I highly recommend Wiktoria’s art for raw, energetic pumps of zest and emotion into your life! It was a perfect gift! I received Wiktoria’s painting from a friend as a wedding gift. It’s so beautiful and full of positive energy!! My husband and I love it. Inspire your work space with a spark of wonder. Whether you’re a seasoned art collector or just beginning your journey with fine arts, custom order of a painting is an one-of-the-kind experience. There is no doubt that well-placed work of art can transform the interior into a powerful statement, shaping the atmosphere of the room, or even a whole space. 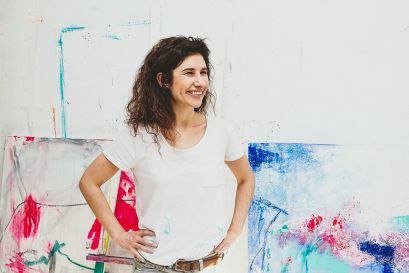 If you ever thought of taking a patronage over a talented artist, this program could be your chance – and it’ll be much easier (and more profitable) than you might think! 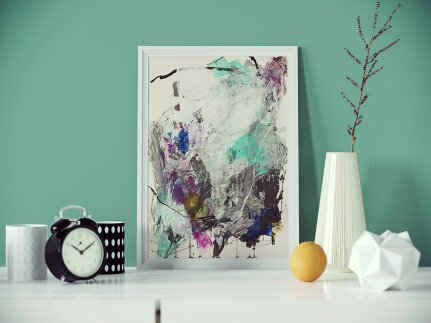 Enjoy the exciting energy of Wiktoria’s original painitngs on your own wall for a week or two and if for any reason it doesn’t feel right simply contact us within 14 days from receiving it and I’ll happily issue a refund. Wiktoira Florek online shop uses an encrypted and fully secure payment gateway through paypal for your best protection. All products are shipped for free anywhere in the world. To protect you and the artist a certificate of authenticity signed by the artist is issued for all original paintings and limited prints. Inspire your life with joy and energy. It is not a secret that the quality of life is directly influenced by your daily visual experiences. 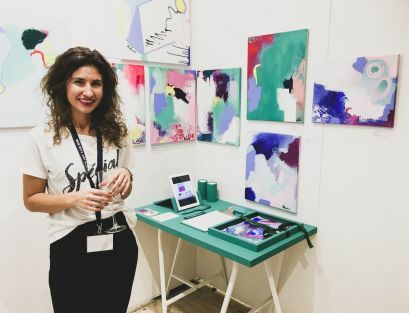 Surround yourself with Wiktoria’s beautiful paintings to awaken your senses and reconnect with the authentic passion for life that’s inside you. Museum-quality art reproductions are the best way to get Wiktoria’s piece at a more affordable price. If you’re just beginning your journey with fine arts, digital downloads will introduce you to the magical and empowering world of Wiktoria’s energising and exciting pieces. Perfect to set as wallpaper on your phone or print it yourself and hang on your wall. There’s never too much art around. Enhance your everyday rituals by surrounding yourself with the most beautiful accessories from Wiktoria’s limited editions. I promise you will receive only valuable content and information!